In 2017, more than 99.999% of rail hazardous material (hazmat) shipments reached their destination without a release caused by a train accident. When compared to trucks, railroads are much safer for moving hazmat. In fact, railroads have approximately 10% of the hazmat accidents trucks have despite roughly equal hazmat ton-mileage. Fewer than 1% of all derailments in 2017 involved cars transporting crude oil and the rail hazmat accident rate has dropped by 41% since 2008. Despite this, railroads will never rest until the industry is accident-free. There is a direct correlation between increased investment in the rail network and enhanced safety performance. Record levels of spending — more than $25 billion annually, on average — help freight railroads make a safe network even safer. Railroads invest more than 40 cents out of every revenue dollar back into the rail network — making it one of the most capital extensive industries and six times more than the average U.S. manufacturer. This effort helped the industry achieve the safest era ever in 2017, with the train accident rate down 23% since 2008. Railroads comply with federal regulations as well as industry-wide and railroad-specific operating procedures to ensure safe operations. Industry and railroad-specific procedures cover areas such as employee training, train speeds, inspections, rail yard practices and locomotive operation. Federal regulations from various agencies, including the Federal Railroad Administration (FRA) and the Pipeline & Hazardous Materials Safety Administration (PHMSA) dictate safety practices in areas such as placement of railcars carrying certain commodities in the train “consist,” hazmat routes, inspection of equipment and track, speed restrictions and more. While federal regulations dictate the frequency of inspections, railroads often inspect their infrastructure with greater regularity than required by the federal government. Using advanced technology, railroads routinely inspect track components, bridges and equipment to identify safety issues and proactively schedule maintenance before incidents occur. These technologies include the use of drones to inspect inaccessible areas, ultrasound technology to identify flaws within track and specialized monitors mounted along track which identify faulty or worn railcar components as train pass by. Because the nation’s rail network is highly integrated with equipment often operating across the networks of multiple rail companies, railroads participate in industry-wide initiatives to gather and share data so potential problems with equipment can be identified quickly. Freight railroads have a fundamental commitment to the safety of the communities they serve all across the country. Working with industry and government partners, railroads help train tens of thousands of emergency responders each year and actively collaborate with local officials on emergency response plans in the rare event of an incident. Emergency response agencies can, upon request, receive confidential information on the hazmat moving through their communities. In the event of an accident, train crews are equipped with detailed information about commodities on the train — also available through the industry’s AskRail mobile app — so first responders can effectively respond to the incident. Railroads also strategically locate emergency response teams along their routes who work directly with first responders on-the-ground at the site of an incident. During and after an incident, railroads provide the resources needed to help mitigate the situation and safely remediate the affected areas. 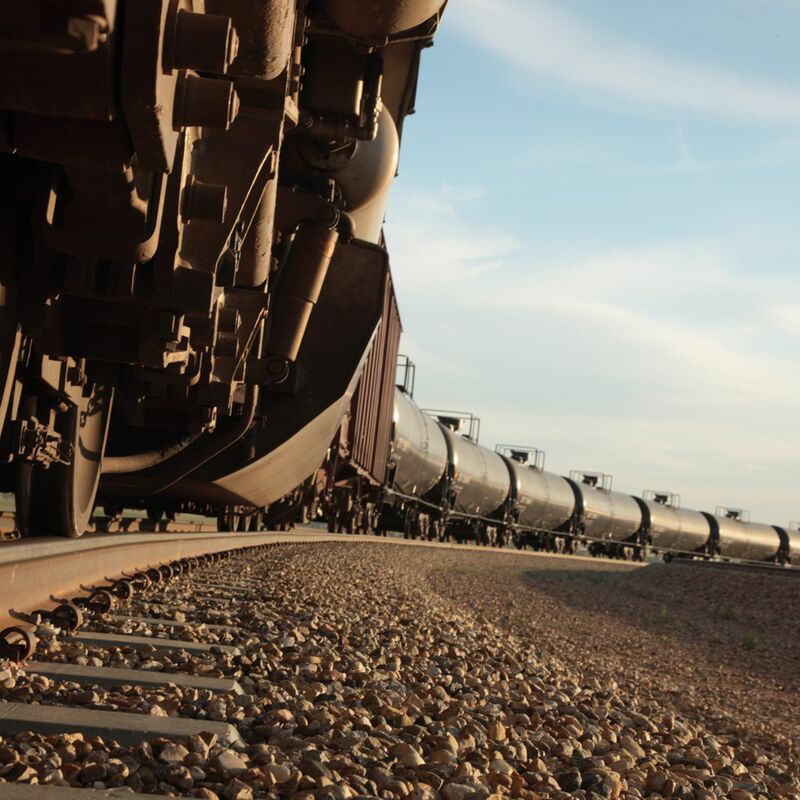 Railroads safely move crude oil, with more than 99.999% of all tank cars arriving at their destination safely.